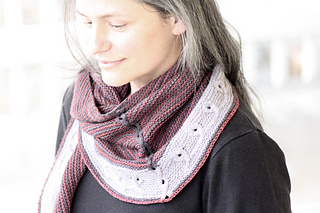 When she won the prize in my give-away, I remember seeing terryknits2 sitting in a chair looking relaxed and oh-so-chic in her Ravatar. 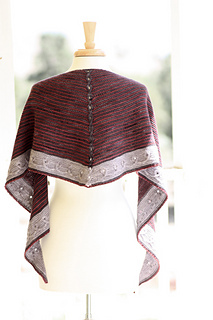 And as I designed her shawl, it was this image that came back to me over and over again. 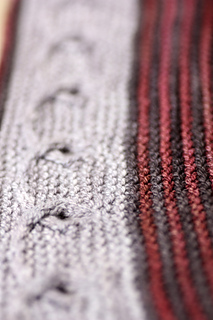 Terryknits Twist comes in two sizes, and features a single color cabled increase down the spine that contrasts with the surrounding stripes. 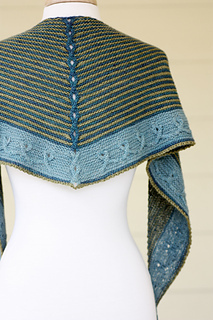 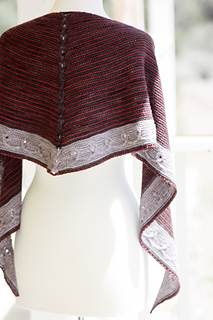 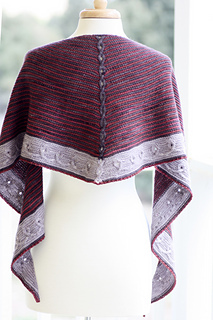 The eyelet in the center of the cable holds the secret to the increases, and the twisty cable pattern in the shawl edging echoes the spine with its own center eyelets. 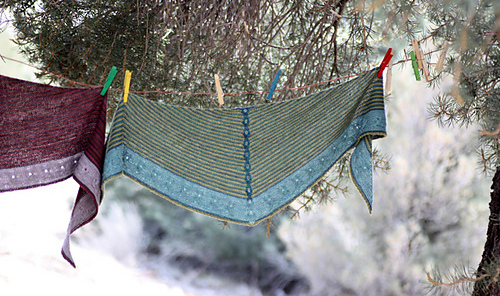 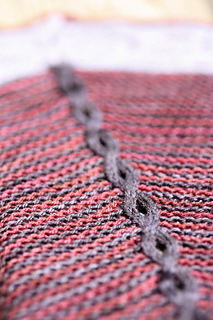 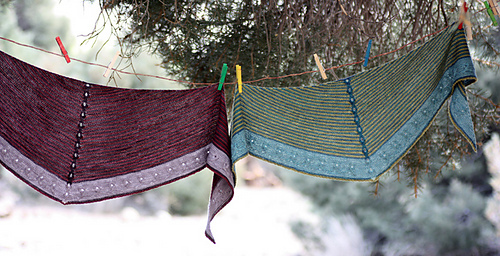 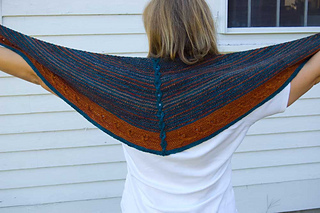 In the end, you have a three color shallow triangle of a shawl. 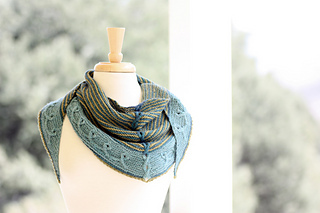 I dare you to knit only one when there are so many color choices out there!